The directors of Balinale International Film Festival certainly have a nose for special international and Indonesian feature films, in depth documentaries and delightful short and family films. Last year the 5 day festival premiered Hollywood’s ‘Eat, Pray, Love’ (partially set on Bali). This 5th edition showed 26 films back to back on one screen in Bali’s only cinema: Galeria 21 Cineplex in Kuta (besides from the run down Wisata 21 on Jalan Thamrin, Denpasar). Balinale is just like Bali island itself: small and unique. It might not be as big as other international film festivals around the world, but it has a great variety of excellent movies to offer. A lot have their Asian or International premieres here and this is definitely a chance to enjoy some ‘alternative’ movies that you don’t get to see in the rest of Indonesia. Such as the documentary ‘Gotthard Schuh. A Sensual Vision of the World.’ (89 mins, Asian Premiere). Director Villi Herman follows the life path of the Swiss painter and photojournalist Schuh (1897-1969) in a beautiful sequence of images from Italy, Swiss, and Bali between the 1920’s and ‘30’s. It’s in this period that a lot of foreign poets, artists, painters like Walter Spies and anthropologist Margaret Mead ‘rediscovered’ the island and named it ‘The island of the Gods’. An expression gratefully adopted by the tourism industry decades later. This is also the time that American comedian Charlie Chaplin visits Bali and Java in 1932. He even wrote a script based on this journey: Woman’s Home Companion. In 40 minutes of rare footage we see Chaplin playing with monkeys together with his host Walter Spies. 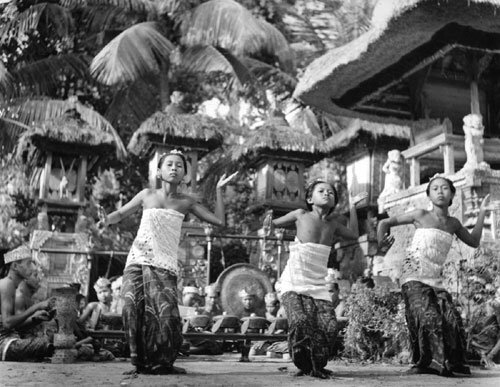 Chaplin jokes around with the local children and performs a Balinese dance in his own funny way. Balinale does more than screening films during the festival, they also organize workshops (mostly free of charge) for Indonesian students throughout the year. The festival is established in 2007 by Yayasan Bali Taksu Foundation, a nonprofit and non governmental organization, founded by Deborah Gabinetti and Indonesia’s internationally recognized actress Christine Hakim. The foundation tries to develop understanding and respect for freedom of expression through filmmaking workshops, seminars and film festivals. Gabinetti has started her Bali Film Center (BFC) in 2002 with the aim of, together with Balinale, promoting film production in Indonesia. BFC is a privately run company endorsed by the government, but receives no funding. Gabinetti and her team helped to facilitate the production in Bali of Hollywood’s blockbuster ‘Eat, Pray, Love’ starring Julia Roberts. BFC also facilitated the Warner Bros production ‘Born to be wild’, that was filmed in Kalimantan and Kenya. The 40 minute Imax 3D documentary shows how orphaned orangutans and baby elephants try to survive in the jungle and how they get rescued by people who raise them to adulthood. Eventually to be set free in the wild again. Although this year’s Balinale didn’t have a big budget follow up for ‘Eat, Pray, Love’, it did have a genuinely made documentary with a slightly different title: ‘Eat, Pray, Surf’ (Germany, 28 mins). This short film is about two surfers, one native Balinese and one migrated American, who tell about their deep love for surfing, Bali and it’s culture. The love for the island beams from the screen. At the Closing Night Party, Balinale presented Audience Choice Awards in four categories based on the appreciation of the festival visitors. A remarkable documentary about the semi-feral street dogs of Bali. How they are seen as the demonic dark side of life and how they were killed by the dozens when rabies broke out. Finally it turns out that they have ‘the richest gene-pool of all dogdom’. These dogs are more precious than you may think. 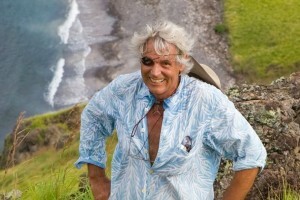 Read our interview with producer and filmmaker Lawrence Blair for more information. Based on the 1987 box office hit in Indonesia ‘Catatan Si Boy’. In Jakarta style ‘big city’ setting this ‘remake’ shows young urban well dressed characters trying to ‘finish what they started’. A circle of friends face challenges together and learn about determination, love and trust. A wonderfully entertaining movie. The award was accepted by Indonesia’s respected actor Didi Petet. Celebrates the life of Billy T James (1948-1991) from New Zealand. The film explores his extraordinary talent as a comedian, musician and writer. We see his meteoric rise and tragic downfall into illness and financial collapse. A montage of still and moving images that visualizes the struggle of workers on different islands of Indonesia. We see their faces under severe stress and strain. There is no dialogue, instead the film is beautifully edited to a minimalist piano piece by composer Joshua Penman. Only sometimes we hear the breathing of the people on the screen. It’s as if we stand next to them and can almost feel their heavy workload.